Wine of Luberon, France. 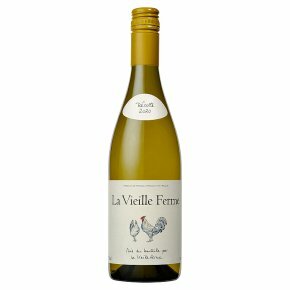 La Vieille Ferme - White French Wine. This elegant and fruity wine comes from noble vines grown high on the slopes of the Luberon Mountains in Provence. It has been meticulously selected by Jean-Pierre and François Perrin, whose family has been making great wines at Château de Beaucastel for generations. Serve chilled as an aperitif, or with grilled fish, chicken, or Mediterranean cuisine.